2 They go down to Egypt, without asking my counsel, To seek strength in Pharaoh’s protection and take refuge in Egypt’s shadow. 3 Pharaoh’s protection shall become your shame, refuge in Egypt’s shadow your disgrace. 5 All shall be ashamed of a people that gain them nothing, Neither help nor benefit, but only shame and reproach. My dear children many people seek out my Son, Jesus Christ, in their lives, at some time. When a soul discovers my Son, it is a journey of different paths and of different stages that must be walked. When you become close to my Son it will be a struggle and so you must expect this. As you draw closer to Him, you will become more like Him and His Traits will become familiar to you. You may not meet my Son physically but you will get to know Him in every way. His Love you will feel. His Pain will become yours. His gentleness will be shared with you and the joy He experiences, because of His unconditional Love for humanity, will become yours. His Patience will be instilled in your soul and His Word will be ingrained within you and with an understanding, which will be given to you by the Holy Spirit. When you truly love my Son you will become humble like Him and with a burning desire to serve Him, whatever the cost. Some souls reach the spiritual path of perfection over time, but they will not complete this journey unless they hand over all their trust to God. If a soul falters along the way, he will be given the graces to pick himself up and continue on his journey. But if a soul competes with my Son, and considers himself worthy to challenge the Word made Flesh, then he will separate from God. The person who finds Jesus in this life on earth and who serves Him faithfully will have peace. Little else in this world will ever satisfy him again. If a soul, having become intimate with my Son, then separates from Him, he will endure a terrible pain. Having known Him and lived within His Heart, this pain of separation from my Son is the worst pain known to man. When you are tempted to challenge the Teachings of Christ or when you are bullied into rejecting Him in any way, know that nothing of this world will ever bring you the peace, love or joy which comes from Him. I am delighted to have you back with Me. It is important to keep close to Me now, My daughter. The time is short and you have much work to do. This time is short. You must pray hard that he can stay as long as possible for as soon as he leaves, the imposter, the False Prophet , will take his place. You must never accept anything that is not the Truth. You must never accept heresy from within the walls of My Holy See. If you do then you will remove yourself from Me. Your Son, Jesus Christ, The Saviour of Mankind. Amen. Today, the 13th of May, is a date that resonates with heavenly significance; it’s a date of singular importance in the recent history and future of the world. And, in a remote little Portuguese hamlet, events of a spiritual kind were beginning to unfold. These events would culminate in a pre-announced Miracle to be witnessed by seventy thousand people: a public miracle unprecedented since Biblical times. 1.The sun plunged towards the earth and performed astonishing, almost-unbelievable gymnastics in the sky for fifteen long minutes, flooding the area of Fatima and 30 kilometres radius with a spectacular light show. Photos still exist to this day of this phenomenal occasion. So… a century ago, this very day, it all began. But why the 13th of May? Why did Heaven reach down to three little shepherd children on this particular date? Well, May, of course, has always been traditionally the special month for honouring the Mother of Christ. And while Jesus had selected twelve close followers to become the apostles of His newly-formed Church, there was always a 13th disciple quietly present in the background: His Blessed Mother Mary. She was that 13th disciple who had loved Him long before she’d even bore Him in Her womb. 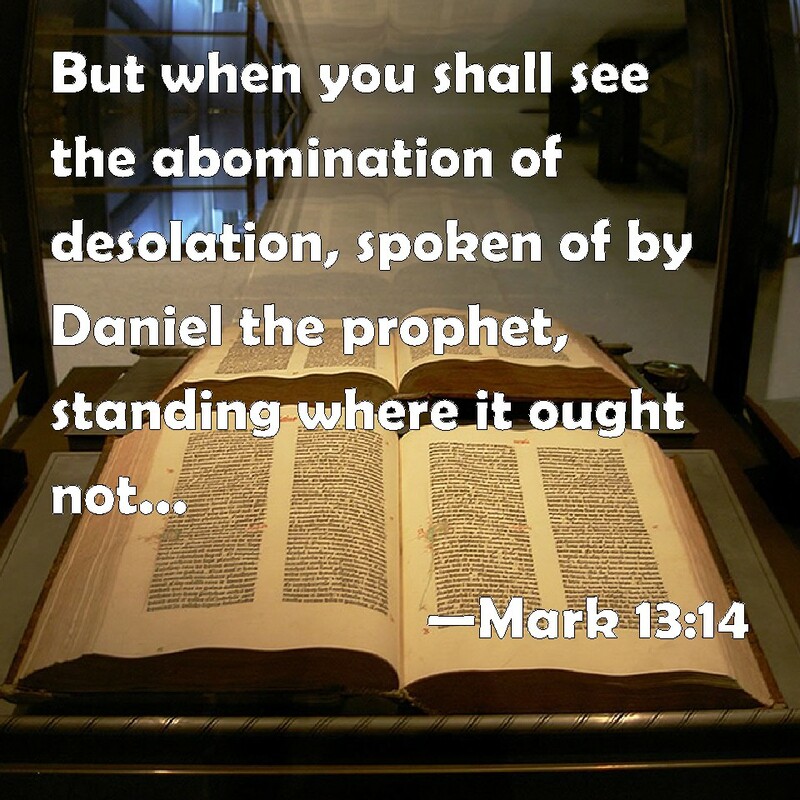 There is a foreshadowing of Fatima, too, in the Old Testament and the 13th day of the month was central to that story as well. It features another Jewish maiden 2,400 years ago called Esther. When the ruling Persians of that time decreed that the Jewish race would be exterminated on the 13th of the month, Esther as Queen bravely interceded with the King to save God’s people. The success of her intercession is still celebrated today among Jews everywhere with the holiday of Purim. And it is believed that the mysterious star which features on the gown of Our Lady of Fatima alludes to the biblical tale of Esther as the name “Esther” means literally “star”. There are so many parallels that the Fathers of the Church have conceded that Esther prefigures the role of Mary, Queen of Heaven, in our own times. We will come back to this a little later on. It would appear that the Divine but hidden presence of Christ our God in the Tabernacles of our churches and in Holy Communion was already being disregarded, neglected and abused by careless or deliberate sacrilege a century ago. On his second visit the Angel gave Holy Communion to Lucy and the Precious Blood from a Chalice to Jacinta and Francisco. “Take and drink the Body and Blood of Jesus Christ,” he said, “horribly outraged by ungrateful men!” He instructed them about the importance of making sacrifices and reparation for sins so as to console God. And he taught them two prayers addressed to Jesus in the Blessed Sacrament. Outrages, sacrileges, indifference: these three offenses directly target God Himself, and they are not peculiar to one hundred years ago. Let’s look at these three specific offenses. In recently-published Fatima booklet called Jacinta’s Tears the author wrote, “Consider if you went to a lot of trouble to get a magnificent present for someone, putting your whole heart into it and going to great length to show your love for that person. If he or she took the gift as if it were nothing and didn’t even bother to thank you, I think you would feel very saddened and offended (….) By sending His Angel at Fatima God is telling us a little bit of how He feels, offended by our indifferences” – being taken for granted, ignored in many instances. In the famous Church-approved visions of the Sacred Heart to St Margaret Mary over three hundred years ago, Jesus told her that He is more offended by the lukewarm-ness of His friends than by the outrages of His enemies. Aren’t we the same – more susceptible to being hurt by those we love than by those who hate us? And that’s simply because, with those we love, we have opened our hearts to them. So… far worse, then, than the general indifference of the world is what Jesus experiences from Catholics who are indifferent to His Presence in the “Divine Sacrament of Love”. 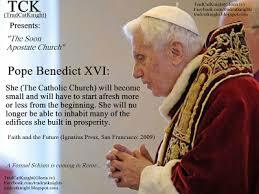 Historically, since Fatima, the outrages against Christ and His Body the Church have multiplied and intensified. There have been more martyrs in the last 100 years than in the first three centuries of persecution under the Roman Empire. From 1917 onwards, wherever Marxist revolution has takencontrol, the atrocities are incalculable – Russia, Spain, Eastern Europe, China, South America, Africa – endless places worldwide. And without fail, the Church has always become the avowed “enemy of the state”. There was an incident in the Spanish Civil War of 1936 where a rebel solider coldly and deliberately fired a bullet through an exposed consecrated Host in a Church. Today, the outrages are less dramatic perhaps, but they surface on all sides as the world distances itself more and more from religion and belief in God, to take up the banner of anti-Christian Marxist principles. Several weeks ago, on International Women’s Day, radical feminists attempted to set fire to the Cathedral of Buenos Aires. In our own liberal culture we hear of dubious works of “art” publicly displayed which boldly blaspheme God and the Virgin Mary. The name of Jesus Christ, used as a curse, has become part of our social vocabulary, in everyday life and in the cinema and theatre. A movie just released in Atlanta, Georgia, portrays our Blessed Lady as a lesbian and ridicules her Virgin Birth. Gone are any boundaries, any sensitivity for what Christians hold holy; nothing any longer is sacred, all in the name of freedom of expression. In France, 1843, a Carmellite sister, Sister Marie of Saint-Pierre (or St Peter) was given messages from Our Lord which enjoy the full approval of the Church. Marianologists say that these revelations, along with those of La Salette in 1846, form the foundation to the Fatima visitations of 1917. These words were spoken to a more God-fearing age 170 years ago, but aren’t they still applicable today – probably even more-so? In the last thirty years in (… country named) Sunday trading, which we’ve all been guilty of enjoying, has contributed to the desecration of Sunday. And now, the authorities are looking at removing the shopping ban on Easter Sunday, the holiest of Sundays. We know from various visionary sources that the taking of unborn life, the violation of the sanctuary of the womb, is an outrage in God’s eyes which invokes His justice – especially when the legalization of abortion has come from governments of nations that once were Christian. From the moment abortion was made lawful in the 1970s images of Our Lady worldwide began to weep tears of blood. Now, forty years and millions of abortions later, this so-called service has become accepted, institutionalized, even considered a human right. Our Lady spoke of the “errors of Russia”. Abortion is one of these errors, legalized in Russia in 1920. (5) the teaching of children by Christians that she, the pure vessel created by God to bring His Son into the world, was a sinner like everyone else. This survey could well reflect a similar picture in most western countries, including our own, where a more relaxed, liberal spirit has come to exist. Those who have seen the changes in the Church over the last few decades would agree that lack of respect and reverence is prevalent among us; this is aligned to the gradual erosion of devotion to the Real Presence; and a growing belief that sin is no longer a reality, just a human weakness that doesn’t really call for repentance or confession. I was recently talking to an elderly woman, a Catholic convert of thirty years, who told me she has never once been to Confession – she didn’t see any need! This is someone who, sadly, has never been instructed sufficiently in the faith. According to the American survey, a large percentage of the faithful are living in sinful situations and receiving Holy Communion; even seeing it as their “right”. In a recent message to a holy soul in Argentina, the Blessed Virgin Mary is reported saying, “Woe to those who receive My Son improperly without repentance! They choose their eternal condemnation! Woe to those who commit sacrileges! Woe to those who mock the divine! They will know the pains of hell.” Strong words – but Our Lady is, after all, a loving mother who cares about our welfare and is firm in teaching the Christian essentials. There’s another kind of sacrilege we need to be aware of, too. In our increasingly de-Christianized world, Black Masses are on the upsurge. Despite the deterrent of locked Tabernacles in our churches nowadays, the stealing of consecrated Hosts poses no problem to Satanists. With the trend of Communion in the hand more common in the last fifty years, we have actually made it easier for them to acquire Hosts to desecrate. 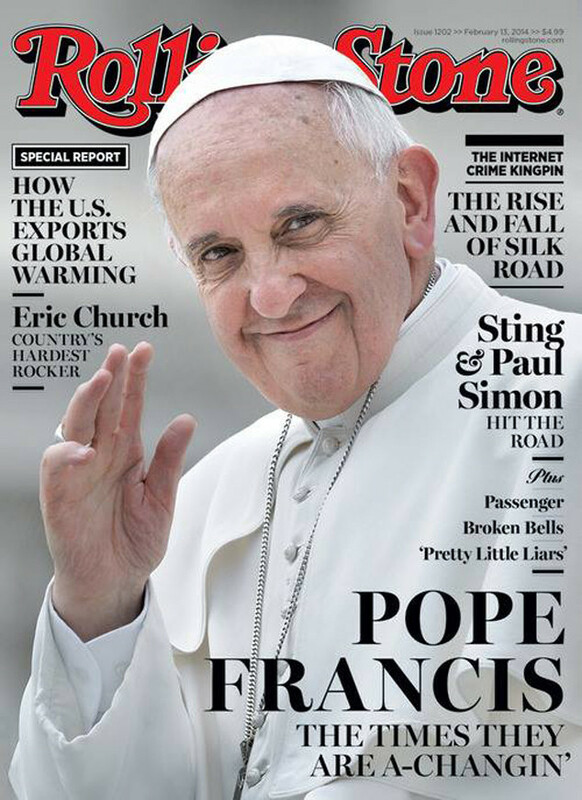 An ex-Satanist high priest, now a fervent Catholic convert, revealed to us last year during his address here that (…city named) boasts the greatest number of satanic covens of all our (...country named) cities. In the closing vision of Fatima, 13th October 1917, after the Miracle of the Sun, the Virgin Mary came dressed in the religious habit of the Carmelites. This is an interesting final note. Apart from the fact that the visionary Lucy would eventually join the order of Mt Carmel, this could have established a link to a new series of apparitions that may well be a continuation of Fatima. Is it just coincidence that in 1961, twelve months after the sealed envelope of Fatima’s Third Secret was opened and its contents kept secret, the Blessed Mother began appearing in earnest as Our Lady of Mt Carmel at another remote Catholic village, further north of Fatima in Spain? The amazing events at Garabandal lasted four long years and are still under investigation by the Church. However, two urgent and major messages emerged from Garabandal. The Blessed Sacrament! – Once again the focus! And this was emphasized by what became known as “the Little Miracle of Garabandal”. 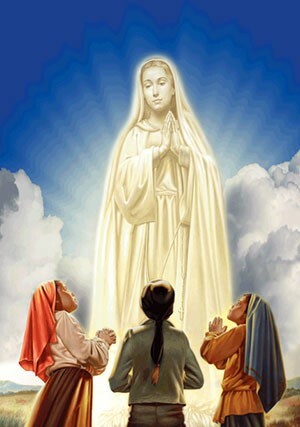 As at Fatima, the miracle was pre-announced, in this case fifteen days beforehand, and it occurred on the night of the patronal feast of the village. While young visionary Conchita was being given invisible Holy Communion by an Angel, the Sacred Host became visible on her tongue. This event was witnessed by many onlookers and was captured on film. We live in times of huge unrest, of extremes, of momentous change, chaotic confusion and uncertainty: a faithless and perverse generation. Saint John Paul the Second at a Bishops gathering in France, in 1980, said that mankind faces a “mega-temptation”; that is, the temptation to think that man can save himself through science and technology; therefore Christ is to become obsolete. It was on the doorstep of this modern age that Mary, like a prophet of old, made her entrance at Fatima. Supposedly a new and more enlightened age, scientifically advanced, yet in the last hundred years since Fatima there have been more wars and casualties than in the entire known history of humanity. These are dangerous times to live; dangerous and deceptive times if you are a believer. Fatima was a pre-warning for us, echoing the Old Testament times when the Jews turned their back on God and He sent prophets to awaken them to the consequences. And this returns us to the biblical narrative of Esther which I mentioned earlier. Queen Esther lived in Persia (modern day Iran) and when the entire population of the Jewish people were threatened with extermination on the 13th day of the month, she interceded with the King to save them. Well, barely weeks after the Fatima apparitions ended in 1917, Holy Mother Russia (as she was called then) was seized by Marxist Communists. Millions upon millions of God’s people were wantonly slaughtered, clergy and consecrated religious humiliated and killed, churches closed. During the Spanish Civil War which followed suit in 1936, the Red Terror made martyrs of over four thousand diocesan priests and seminarians, 2,500 monks, friars and nuns. And so the pattern has been repeated throughout the twentieth century and now into the 21st Century. Wherever Communist and anti-Christian ideology has arisen, genocide has followed. The Third Secret of Fatima released at the turn of this century concerns a vision of a murdered bishop in white, along with the bodies of cardinals, bishops and laymen in a city of ruins with armed soldiers. It does suggest there’s still more to come yet, a global form of Marxist Communism which, unrecognized, could be stealthily gaining foothold around us. Militant atheism in all its varied guises, institutionalized and politicized, remains humanity’s gravest enemy, diametrically opposed to true faith and religion. At present, persecution of Christians is on the rise. According to the Turin-based Centre for Studies, CENSUR, Christians are the most targeted religious group in the world. In the fiscal year of 2016 just gone, over ninety thousand Christians were murdered for their faith and 500 to 600 million were otherwise persecuted in such ways as imprisonment, abductions, economic restrictions, destruction of property and loss of personal rights. These statistics surprise those of us who live relatively peaceful and comfortable lives in (…country named) because the media seldom reports on this issue. An Iraqi priest now living in (…city), Father (… name) , has told us of hundreds of thousands of Chaldean Catholics murdered by Islamic Fundamentalists in Iraq and Syria. The Christian population of his homeland has been decimated from two million to less than 200,000 today. I mention these facts and figures not to frighten anyone but just to make us aware of how serious the situation is one hundred years after Fatima. There can be no hiding from the prophecy delivered from heaven that some nations (according to the repeated words of Our Lady to Sister Lucy) could disappear from the face of the earth – something quite conceivable in the present international climate. Like Queen Esther, however, our Blessed Mother is interceding for us and with our co-operation, will succeed in bringing peace to our troubled world. We must hold fast to that hope, increasing our prayers and efforts, our sacrifices and penance, which can help mitigate the severity of events. To combat all the evils of today Mother Mary has given us three weapons: number one, the daily Rosary – and at Fatima Lucy was told that God has invested this ancient prayer with extra power for spiritual warfare when the devil appears to be gaining the upper hand; number two, the Five First Saturday Communions of Reparation; and three, the consecration of Russia named specifically – which we are still awaiting and praying for – and personal consecration and devotion to the Immaculate Heart of Mary. Ultimately, we are assured that Mary’s Immaculate Heart WILL triumph. That triumph, we must remember, begins in individual hearts, and when people give up their Saturday, like all of you today, to come and honour the Blessed Mother, the first fruits of that triumph are already evident. It isn’t a numbers game. It never has been. The few, the devoted, can make a vast difference! On this special day, which a hundred years ago was the feast of Our Lady of the Blessed Sacrament, please pray in the words of Pope St Pius X, “O Virgin Mary, Our Lady of the Blessed Sacrament, inspire in all Christians a deep devotion for the Most Blessed Sacrament so that they may become worthy to receive Him daily”. Paul had just been to Mass on Friday before work and received Jesus in Holy Communion. Normally afterwards is a time of deep prayer, & personal thanksgiving- of intimate union with Jesus. This time, something special happened. He realised later that this was preparation for something else. At the end of the day, he said his nightly prayers and went to sleep. That is until 1.09am on Saturday on the 11th June, 2016. At that time, when he was asleep, he suddenly had an infusion of a sentence emblazoned in his mind, as if written by electricity or by a welder. This experience was not euphoric as such, although it recalled to mind the earlier experience, but was more intentional and instructional in nature; as if to impart specific detailed information. His experience was profound and unmistakable. He then felt that he had to get up and pray the Rosary, although it was the middle of the night. He prayed 10 decades. He felt fully submitted to the Will of God as he had been learning that you don’t argue with God over the past week, through a series of events that had been preparing him. Paul explains that these miraculous gifts that accompany the oil are only obtainable through genuine faith and prayer. He said that if you believe and are in need of these gifts, which are freely offered by God for all believers, to contact him and he will ask Rita to send a small amount for you. It is not some sort of trick or magic. It is a gift offered by God to those who choose to pray and believe and you may be granted a request, such as a specific healing by God, only if it is within the Holy Will of God. After finishing 2 Rosaries, he felt the call to walk to his local Catholic church.. which didn’t make sense considering it was 2.50am in the morning! He arrived outside the church and sat down, looking towards the window, towards the tabernacle, which he could barely see and not knowing why he had been called there, he decided to continue to pray the Third set of Mysteries of the Rosary. 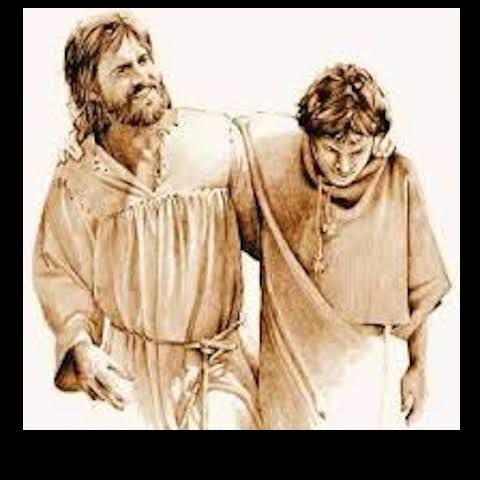 Within his intentions was a sick friend, Peter, for whom God had asked him to pray for healing earlier that night (when he received the message) and he also knew to give some of the oil to Peter for his healing. He looked towards the True Presence Of Jesus in the Eucharist, reserved in the Tabernacle of that church. While he was there praying, wondering why he had been called there, he suddenly realised that Jesus, our loving God who had suffered and died to atone for our sins, was all alone in the Church, in the tabernacle; lonely and awaiting our love and company. No- one was there to honour Him. He was all alone – sitting there, waiting in the tabernacle while people were out all night, drinking, partying, taking drugs and fornicating. They were doing all this sin, like there is no tomorrow or end to this life ever, and Jesus is there waiting for them, forgotten. He was given to understand that Jesus’ Body, there in the Eucharist, is in agony, as if stretched on the Cross, waiting for them. Paul felt in a very personal way then that Jesus had invited him there at that time because He was lonely and Paul felt all the loneliness of Our Lord come over him in a wave of emotion. And he cried. People forget about Him. So often He’s alone and He suffers for our sins. And He will continue to suffer for our sins and He will continue to provide the grace, so that we change. But He won’t interfere with our free Will. Because it would not be right for a God to impose His Will upon our human will. WE must freely choose Him, we must freely give ourselves to Him and offer our sins to Him, to be cleansed and have our sins washed away with His Blood. And Paul also knew at that moment that Jesus, as a true Person, with true human emotions like any of us, was truly lonely and He had called Paul there because He was truly alone. And that’s when Paul cried, at His solitude, for His suffering, because He was forgotten by so many. So few people love Jesus. So few people give Him a single thought. Don’t let yourself be that person who has forgotten Jesus and the Love He has for you. He loves you so much that He will chase you down, hunt you and rescue you from the jaws of hell but He cannot do that without your consent. That was the simple but profound message that Paul was given at the Church. The whole of it. Then he also knew he was called to pray the Rosary continuously for the next 3 days in reparation for those who don’t know the Rosary, and for people who make jokes about it, and to fast for 3 days also. This was for the healing of people, including you. Finally Paul Says if you have faith, miracles are possible. What he was freely given he now passes on to us, because we then can have the opportunity to avail ourselves of this grace from God. Paul also explains that earlier he had previously understood that the meaning of the oil is that all people have to be signs of Jesus’ presence like the oil in the lamp which burning alight points to Jesus presence in the sanctuary. We have to be like that candle of the burning of the flame of the Holy Spirit which is the Love of God and also as that flame, we are the beacon of the light which tells people that Jesus is here, alive. That’s what we are! We are part of this whole mystery. We are the witness to everyone. Like that candle. This explains the sign of the miracle. “Always proclaim the true Word of God. !” I pray that priest then has the gift to always know what that is and to speak the truth with courage. On Sunday August 14th, I was at a Novus Ordo Mass at Our Lady of the Angels for the second time in a month. It’s not my home parish and the celebrating priest was different on each occasion. Something unusual, most likely miraculous occurred. A fortnight or so later, a different priest, unfamiliar to me celebrated the Mass. I had been to Confession about an hour before Mass and they had brought a beautiful statue of Our Lady out to the front of the Church to accompany a Eucharistic Procession planned for after Mass. Later, I realised that it was actually the annual Feast Day of Our Lady of the Angels, on which the church who bore the same namesake, was celebrating that very day. It was at a later point in the Mass this time, when I noticed something breathtakingly remarkable; what I believe to be a Eucharistic Miracle. This time the priest held in his hands, a small white consecrated Host. This time there was, taking up almost the entire Host, a very bright, golden glow, leaving only a white rim for an edge. It was striking and beautiful; I felt amazed but I dared to rationalise again, “Look how the candles light up the Host and make it glow so beautifully. How amazing that the light hits it in that exact spot..must be a deliberate architectural intention…”, until the priest bent over a little and moved the Host down, still in his hands, to then receive The Blessed Sarament into his mouth and the bright golden glow remained intact, not even even flickering or wavering. This act took mere seconds but the significance of what I had witnessed was profound. I went to Holy Communion and knelt to receive Our Lord on the tongue, feeling moved, but trying to hold it together. After thanksgiving prayers, I did not immediately tell my eldest daughter who returned to my side anything, but by the last hymn, Amazing Grace, we were both shedding tears, moved by inexplicable Grace. At first she thought it was just the hymn or the Mass as a whole overwhelming me; as she felt but I explained later. If I compared what I saw in terms of ‘the emanating glow’ to anything remotely similar, I would refer to a photo/video I saw of the Eucharistic Miracle at Garabandal 1962, which is imprinted upon my memory. In the photos that I have seen the Communion Host that appears on Conchita’s tongue, seems to glow with a bright, white light. The difference here is that the Host shone with a bright, deeply golden light instead, from It’s centre. For those who believe, in the True Presence of Christ in the Eucharist, no further explanation is necessary. For those who do not, this is certainly not the first or only Eucharistic Miracle, which you will find if you search the topic. It is a belief which is biblical and can be understood- with the eyes of the soul through the assistance of the Holy Spirit. Jesus is Our Blessed Saviour and Mighty King Who humbles Himself to become Food for our Soul. Does he believe in the Real Presence? I encountered the same lack of teaching from my priest recently when talking about similar clearly Eucharistic passages which gave opportunities to teach the Real Presence but where he chose to teach other aspects eg. “Feeding on God’s Word”. Jesus is really truly present and alive in the Blessed Sacrament! He has repeatedly confirmed this in word, miracle and other signs. This is not an option to believe. It’s the greatest honour for our unworthy souls. Those who do not preach maybe do not see the Crisis of lack of faith and equally do not see “The Solution”. The immense power of this Sacrament means Satan works really hard on this one. By the way, I’ve worked out (God or Blessed Mother gave me to think…) that at the slightest temptation or doubt/thought first entering your head, stop and pray 3 Glory Bes immediately and then implore briefly God’s help – Gods wisdom will quickly, if not instantly, drive the thought away! Wish I figured that out before! Could have saved a lot of struggles! Anyway, bless yourself then read this story. … Today Pope Francis managed to explain today’s Gospel reading without a single reference to transubstantiation. In fact, he went one better. He said that what Jesus meant by that flesh and blood talk was the “sacrifice of his very life.” That’s right. It was not that bread and wine would actually become His Precious Body and Blood. Forget that. Our Lord was merely challenging people with the fact of his coming death, His “failure” as Messiah. “… Pope Francis insisted then, as he did during his most recent angelus message, that the “bread” relates not to the Eucharist, but to Jesus’ death on the cross. Interestingly, here is how a footnote from a popular Protestant study Bible, the English Standard Version, deals with v. 6:51. (“I am the living bread which came down from heaven; if any one eats of this bread, he will live for ever; and the bread which I shall give for the life of the world is my flesh.”) Since there is strong risk of confusion, what immediately follows is the Protestant explanation. 6:51 living bread. The “bread” Jesus gives is his flesh (a reference to Jesus’ death on the cross). Jesus’ statement intermingles physical and spiritual truth. Jesus is not talking about literal “bread,” but he is the true “living bread” in the sense that those who believe in him have their spiritual hunger satisfied. He becomes this spiritually satisfying “bread” by sacrificing his own physical body in his death on the cross, and in that sense he can say that this spiritual bread is my flesh. Note the same misdirection by Pope Francis and the Protestant study Bible. Both identify Jesus’ “bread” as his flesh on the cross. • Protestant study Bible note: “The “bread” Jesus gives is his flesh (a reference to Jesus’ death on the cross). In conclusion, the Pope recalled Jesus’ words, “He who eats this bread will live forever”. He then explained that by living in communion with Jesus on this earth we can look forward to the voice of the Risen Lord who calls us when we finally close our eyes.